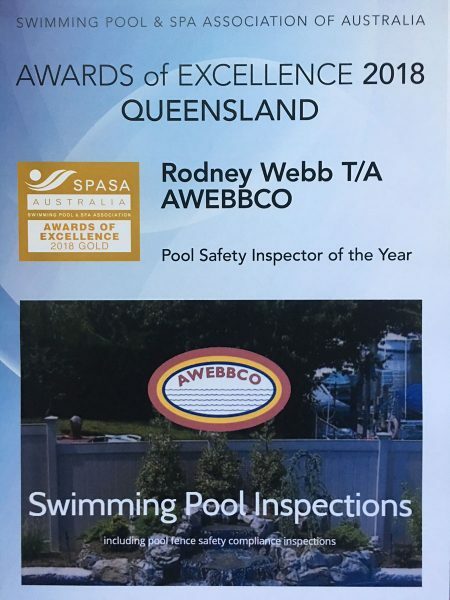 AWEBBCO Swimming Pool Inspections is a professional independent swimming pool pre-purchase and pre-sale inspection business. 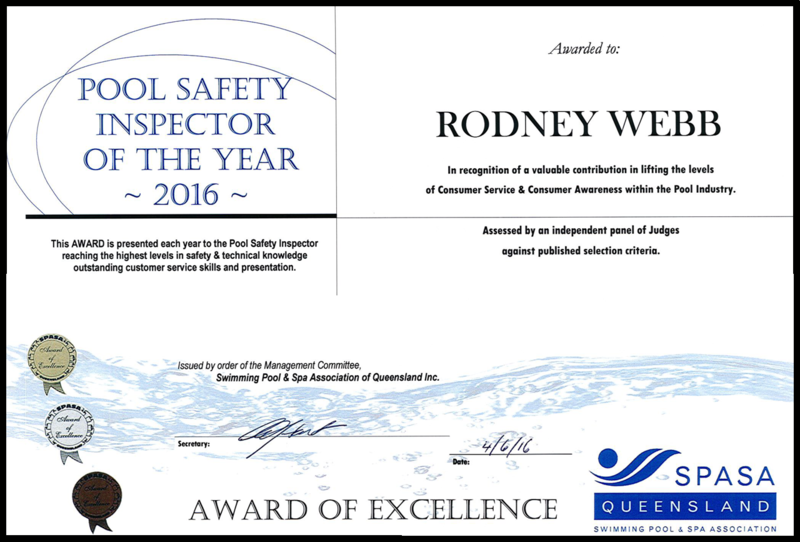 I also carry out pool safety inspections. Inspections are carried out in accordance with strict industry guidelines and with relevant Australian Standards. When choosing an inspector, you should ensure they are independent and not providing reports that are “Real Estate” friendly or to obtain work for building, renovations and/or repairs. AWEBBCO is completely independent and does not carry out building or construction work. I provide a true condition report that presents the facts of the pool zone without prejudice to any party. Each and every report is carried out in the same professional manner. AWEBBCO reports are comprehensive and describe your individual pool site. Each report is independently written – not simple generic tick-and-cross sheets. Comprehensively detailed reports can be provided to ensure you receive all relevant details that require attention, repairs and/or replacement. I can also provide additional information regarding contacts for servicing, leak location, maintenance and renovation works. I highly recommend and encourage you, though it is not a necessity, to meet with me on site to discuss the inspection. I can then take you through the pool area details indicating relevant items ensuring you have an informed and detailed analysis of the pool area. I also provide an after inspection telephone service to further discuss any queries you may have following the pre-purchase and pre-sale inspection. Should you not be able to be on site during the inspection, descriptive photographs can be added to the report to cross reference items that may be relevant. 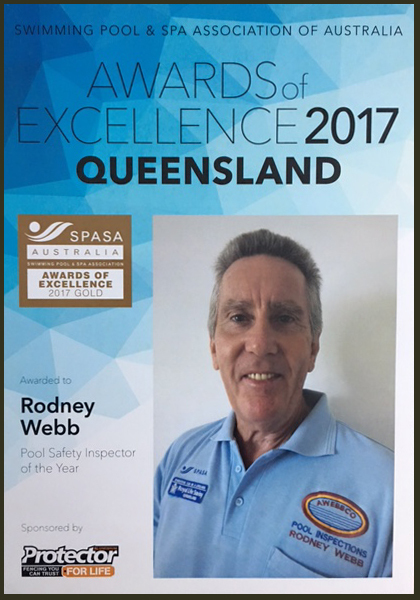 Over the years, I have been able to maintain a data base with Architects, Engineers, Builders, Private Certifiers, Pool Service Technicians and Swimming Pool professionals who may be able to assist and answer any queries you may have in the future.